The combination of beeswax, tree resin and jojoba oil means that the cotton fabric is malleable at room temperature. Using the warmth and pressure of your hands you can mould it around any dish or bowl. For more delicate items such as sandwiches or home baking we suggest using your beeswax wrap in the same way you would use waxed paper. Alternatively, you can press and fold the edges to make pouches for smaller snack items. Your beeswax food wrap can be reused many times and following our recommended care instructions will help ensure it last for months and months and months. Simply hand wash in cold water and only use a mild detergent if really necessary. 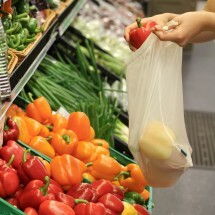 Wash your reusable food wrap as if it were a plate not a piece of fabric. DO NOT WRING IT OUT. You can either dry it with a towel or allow it to air dry. 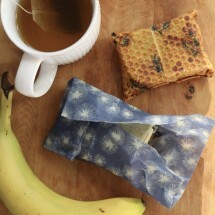 Your beeswax wraps are best stored flat or rolled up in a dry place. Cotton food wraps infused with NZ Beeswax, tree resin and organic jojoba oil. A planet friendly, reusable alternative to cling film. This product is dispatched to you by Bee Green Food Wraps. Would you like to change delivery destination? Purchases are sent using tracked NZ post. Tracking number will be provided when item/s have been shipped. Rural surcharge now applies. Orders over $80 qualify for free tracked shipping.